Sara and her family are friends of ours. 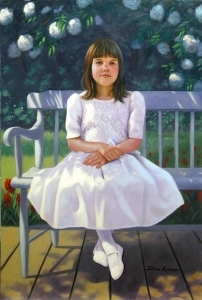 She made a wonderful subject for a child portrait painting. Parents will forever treasure the memory of their son or daughter captured in oils at this young age.